the FOCUS Program not only trains members, but educates members on how to become fitness leaders. The FOCUS Program inspires transformation. Our dedicated training starts with your coaches addressing your current state, your body mechanics, abilities, and your desired outcomes. 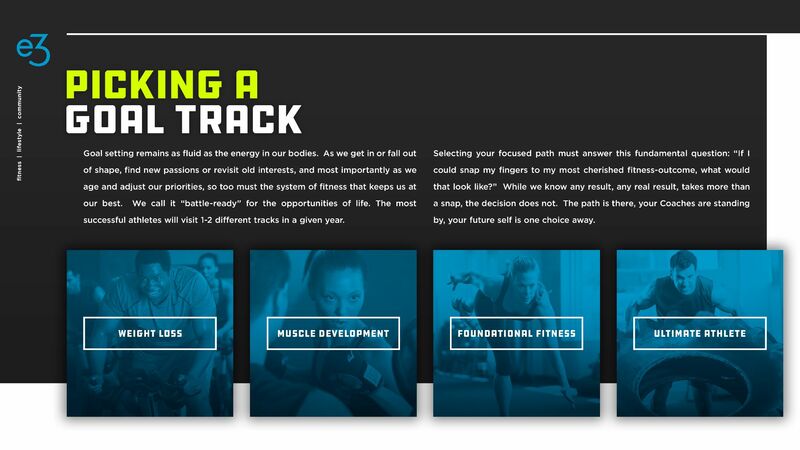 Each GOAL TRACK provides you a sequence of in-gym workouts. Complete the weekly sequence and you’ll have achieved the best chance to see your goal in the shortest amount of time. 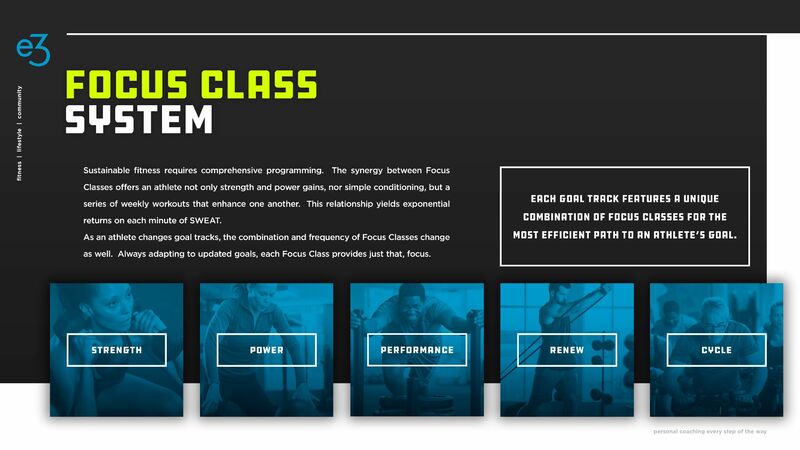 The FOCUS workouts are designed using functional-style training that challenges the body in the specific workout philosophies: Strength, Power, Performance, Cycle, and Renew. Approach each training session with that singular focus aligned with your efforts and exponential return becomes possible. Workout programming is repeated twice, giving a member a week to learn, a week to execute, then a week to master. Every three weeks all 5 FOCUS WORKOUTS change using the element of muscle confusion to continue providing the most results in the shortest amount of time. Warm-ups, Cardio Intervals, and Exercises all change every three weeks. With this ever-changing environment, the FOCUS Program ensures continued gains after months and even years of continued training. Starting with scheduled, consistent training, the e3 Program then addresses cardio fitness, nutrition, and finally,putting it all together.